2014-07-11. Published in category Articles. I believe this show has already made me respect the Soul Artists of the yester-years and of Today even more. When people give myself or my Team praise about the show, they say how much they enjoy listening in because it's so different from what a lot of stations are playing & that I give light to lesser known Soul Artists that in my opinion are keeping this R&B/Soul Genre Alive. So I'll say that this show will bring a deeper appreciation for making quality music that has a message for people willing to listen. 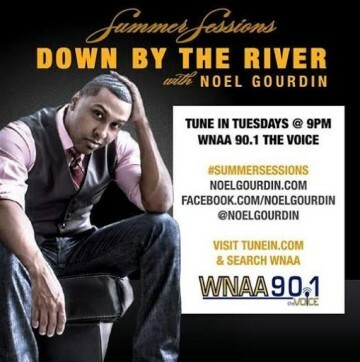 Noel Gourdin has previously contributed to Musicians' Corner. See more HERE. 2014-05-02. Published in category Articles. I listen to a lot of live records. I think it’s important to bring live elements into the recording process, the records I like have a lot of imperfections in, which makes the music sound exciting and raw. It’s about capturing a moment in time. Music should sound like something is living and breathing. The reason why we are still so obsessed with the music from the 50’s and 60’s is because of the way the songs were recorded, not only was the songwriting really strong but the sound is so alive and that creates a timelessness. There are a lot of musicians that are interested in recording the ‘old school’ way but it’s a shame that we don’t hear it on the radio anymore. I can’t believe people like Sly & the family Stone were once at the top of the charts with albums like There’s a Riot Going On. That record sounds so good because it’s dirty. I hope that one day we can bring back that live, imperfect sound and make it popular again, it’s so important. Recently in the last few weeks I’ve been listening to a lot of Bo Diddley, Funkadelic and an album by Miles Davis called On The Corner The Complete Sessions. I haven’t released something in a while but last few tours I have done, I’ve recorded some live session stuff to give to people so they have something new to listen to. These recordings are like drawings or sketches for something to come. A director once used a bunch of demos I did for some movies so I guess they have some sort of value. I am working on an album this year and I’m really excited about it. It’s very different to anything I’ve done, some of the songs a very dark and spooky but some are raw and soulful. I am hopefully going to record the album in the next few months and It will probably be released at the end of the year or beginning of next year. I am also an artist. I have a studio in London and I’m just finishing my website which will be up soon and I hope to have an exhibition later this year as well. I am still working out the connections between art and music but I feel it’s also important not to know and just make things. As time goes on, you'll end with a large body of work, and there will be some strange sense to it all. 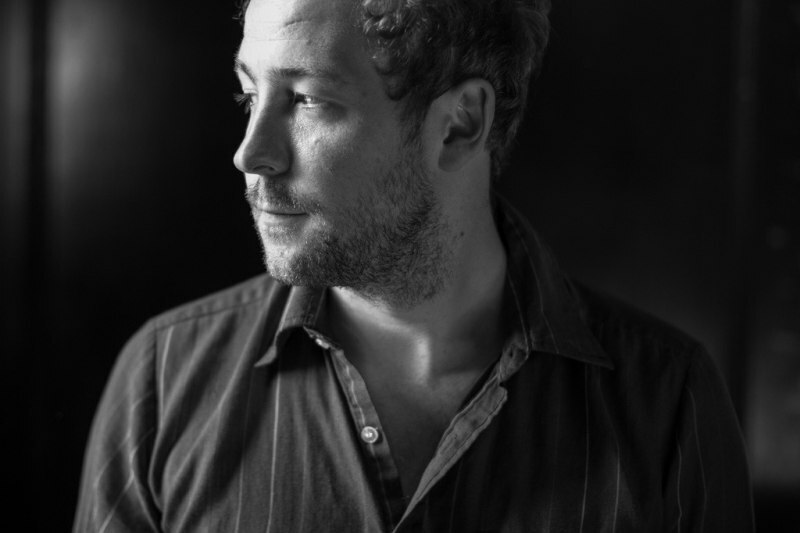 Marcus Foster is a singer-songwriter and artist, based in London. He is a Royal College of Art-graduate. He has released the album ''Nameless Path'' and the EP ''The Last House''. His music has been heard in the films ''$ 5 a day'' and ''Twilight''. Find out more HERE. 2014-04-14. Published in category Articles. I make everything organically. Soul music made in a chemical way is pop music to me. It may be fantastic but it's not where I come from. I played in orchestras. I'm into live music. Nothing else dictates how I make music. I was lucky to have a dad who was a session drummer with the Stones, Jimi Hendrix and a lot of other great acts. I played the drums when I was 6 and moved on to brass, piano and guitar from there. Being given outstanding achievement awards tells me that what I have been doing all these years is the right thing. My music is dictated by my feelings. And I feel blessed to be able to make music and pay the bills. No tv-stations, no radio-stations champion my kind of music in the UK now. And that's where I'm based. My kind of music is called neo-soul. Good things have happened along the way though. D'Angelo changed everything with ''Brown Sugar'' and I really like Pharrell Williams' ''Happy''. That's like soul music from back in the 60'ies. 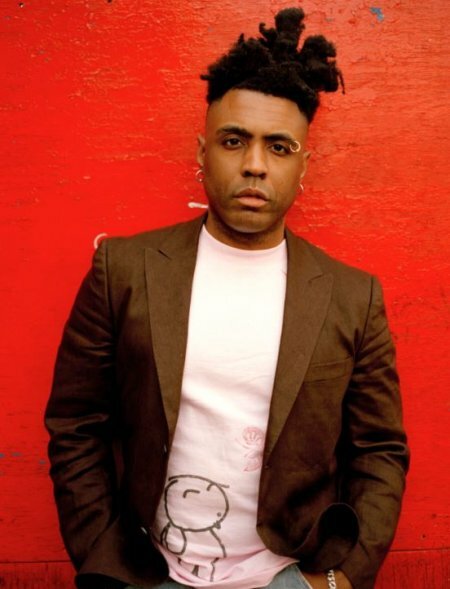 Omar is a singer, song-writer and multi-instrumentalist, who has released seven albums, from the debut ''There's Nothing Like This'' (1990) to ''The Man'' (2013). He has collaborated with many musicians along the way. His collaborations with Stevie Wonder has among other things resulted in a song that the two co-wrote together (''Feeling You''). 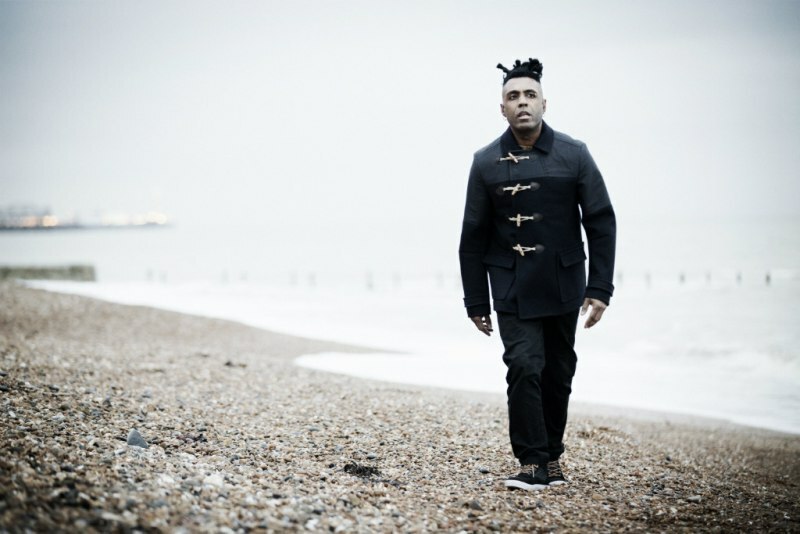 Omar has received The Urban Music Awards' Outstanding Achievement Award, and an MBE (in 2012). Find out more HERE. 2014-03-24. Published in category Articles. This year I'm turning 60, and I can look back on 35 years as a touring musician! It's almost unbelievable. That I would still be active under the circumstances is something I wouldn't have guessed. Music has always been part of my life. From my early childhood onwards. My father always kept the radio at a high volume. He bought record players all the time, and collected a vast number of all sorts of records. A mother who had been given the chance to study the violin and piano, and dabbled at playing the accordion when there was a party on the island where we spent our summers. There was a sense of security in listening to adults talk, laugh and sing to my mother's accordion during the summer nights. My father played Ella and Louis Armstrong on the record player and in a child's manner and with the open mind that a child has, I imitated that sound and gained, probably without thinking about it, a sense of syncopated music. I chose music as extracurricular activity at high school where I had a teacher who opened up our senses to music in a wider perspective. He was a trained church organist from the Royal College of Music in Stockholm, with a higher degree and a diploma at organ playing. He did a few hours as teacher at my school a week while working in church. He was a controversial teacher in those days. Among all teachers we had, he was the one with shoulder long hair, a big beard, and boot cut, orange-colored pants. Wearing necklaces and rings in his ears he expressed the new era. The scene-changing 60'ies. The music that he introduced us to had huge range. It was everything from Jimmi Hendrix, Vanilla Fudge, Miles Davis to Pretorius and Bach. He took us to Konserthuset in Stockholm to see a young Keith Jarret. He had his own band that played extremely great pop music, which he toured with. When he needed new members for his church choir it was a certainty that one said yes to the proposal. He staged major works of church music and we even got to sing pieces to a full symphony orchestra, which he directed. He wrote choral motets for the morning services many of the Sundays when we were to sing, which we rehearsed the same morning. It was a fun and stimulating time. I had a quite dark alto voice, which he became interested in, and he started to write some music for me. It began with pop-based songs but went more and more in the direction of jazz. A style of music that he had devoted all his time to since the 50'ies. It was ''his'' music. To get an education at the Royal College of Music had really been more of a necessary evil, as the time for jazz music was regarded as past and pop music was the new. The future would reveal that it was an education that had major significance. I was given the chance to sit in with his band, and that was when I took my first steps as a soloist, and at the time with Janis Joplin's repertoire, among others'. Our interest in each other developed over time, into a huge and strong love, and suddenly we had 4 children. My plan had of course been to become a midwife, and I worked in the maternity ward at the hospital in Danderyd while I was studying, touring and had our own little children. It was a life and a pace that I wasn't able to keep in the long run. After 10 years in the maternity ward I left my job and started singing jazz full time 1983. The debut as a jazz singer had taken place a few years earlier, when we had put together my own quintet, ''Monica Borrfors Quintet''. There were many long tours in those days. We were one of the best bands in the country, but it wasn't until 1987 that I got to make my first album. I won the vote at the jazz magazine Orkesterjournalen to make a recording. The record was named ''Your Touch'', after a ballad which my husband Gus had written, with a text by our friend, guitarist and singer Eric Bibb. In 1988 we won a Grammy for that album. My second album, ''Second Time Around'', was released in 1990. That one also got its title from a ballad by Gus and Eric. The arrangements were made by Gus and one of the major jazz saxophonists in Sweden, Bernt Rosengren. In those days we had a young drummer whose name is Magnus Örström in the band. After a few years and many tours he later left us to join the internationally acclaimed band EST, with Esbjörn Svensson and Dan Berglund. This production was also nominated for a Grammy. It wasn't until 1995 that I made my next album. I recorded for BMG in ABBA's Polar Studios in Stockholm. That was a record with only ballads. Wonderfully arranged and scored by Gus and the brothers Henrik and Ulf Jansson. Guys who these days write for a large number of international artists such as Celin Dion for example. The record was given the name ''Slowfox'' and I like it a lot to this day. I believe that it should have been nominated for a Grammy but the record company had a pop group called ''Kent'', which they wanted to launch, so it wasn't even handed to the nominating jury. Such a shame in my opinion. Gus and I went over to BMG in New York to talk to them about my record, but at the time BMG was heavily into launching a young Canadian singer by the name of Dianne Krall, and that was it. I made two albums with the Swedish group ''Sweet Jazz Trio'', which is made up by Hans Beckenroth -- bass, Mats Larsson --g uitar, Lasse Thörnqvist -- cornet, and I toured a bit in Japan with them. Then I started to sing in my own language and made a record with jazz musicians from Gothenburg. It was Lars Danielsson, upright bass and cello, Anders Kjellber, drums, Tommy Kotter, piano, and Staffan Svensson, trumpet. The trombonist Nisse Landgren produced, and played on, the album. The CD was named ''Monica Borrfors in plain Swedish''. In recent years I have also interpreted one of Sweden's legendary jazz singers -- Monica Zetterlund -- on two different records -- ''Monica sings Monica'' and ''Li'l Darli'n''. Monica Zetterlund -- who among other things recorded with many international jazz musicians such as Bill Evans. I was compared with Monica Z early on, so it was probably high time to do her music. I have done hundreds of concerts during the last few years, when I have told the story of her life and sung her unforgettable songs. I have always stayed faithful to jazz. That is not an easy choice, but to be in that context and work with the musicians I have had the privilege of working with has of course shaped me into the person I am and the person I have become. I am deeply grateful for it. Well, it has continued, so to say, with recordings, tours, tv, radio. You forget quite a bit as time goes by. When I was younger I struggled hard to gain respect for jazz music in Sweden. I sat on different boards and we made calls on the ministries. At the time I was considered to have the gift of speech, which meant that I often got to voice the interests of jazz music. I was involved in starting the jazz club Fasching in Stockholm and sat on its board. I was on the board of Svenska Rikskonserter for 6 years, and during several years in the Swedish Jazz Academy etc. Music has opened a lot of doors and I have gained friends in high and low places. When I in 1992 was about to do a tour with my own group, which started in Kuala Lumpur, continued to Singapore, and onward to New Zealand and Australia, I received a lot of help from our then prime minister Ingvar Carlson. We have been close friends since. The music has taken me to China, Japan, South East Asia, the former Soviet Union, Saudi Arabia, Kuwait, Qatar, large parts of Europe and the Scandinavian neighboring countries. That would probably never have happened if I had continued on as a midwife. I have played with amazing musicians, both Swedish and international. I did my first tv-show in the early 80'ies with musicians such as Toots Thielmans among others. I have worked with the Big Band at the Danish national radio, and with big bands here in Sweden, as soloist in different situations. I believe that I am the female jazz singer in my generation in Sweden who has toured the most. Nevertheless I have never felt as if I have neglected the family and our children. They have after all been the top priority in mine/our life/lives. As a jazz musician you of course have to face times of unemployment, and during those periods you really wonder how you ventured into this line of work. The upside is that we have spent time with the children, who are all grown-up, secure and self-sufficient these days. Gus and I have had the opportunity to travel and play together for years, and we still do. When I write these words we're expecting our 10th grandchild any hour. It is indescribably major! At the same time I sit here booking gigs and arranging forthcoming tours. Life as a jazz singer hasn't made me rich in any way, financially, but it is and has been a rich life in so many other ways. Would I have done it all again, knowing how it all is and has been? That question requires some thought, but I'm leaning towards answering ''Yes''. I shall return to this question when I turn 90. Perhaps I can answer it then. 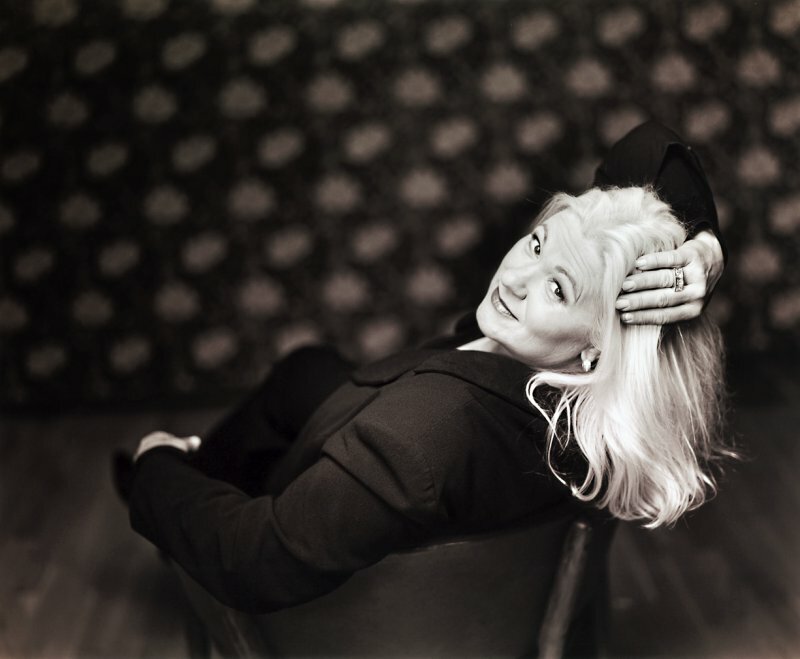 Monica Borrfors is a jazz singer who is based in Sweden. She has released nine albums, including her Grammy-awarded album debut ''Your Touch''. She has also contributed to several other artists' albums. Beyond working on her own career Monica Borrfors has devoted energy to improving the working conditions for musicians in Sweden through several official organizations over the years. Monica is married to the musician Gösta Nilsson. 2014-03-18. Published in category Articles. Music is the best way for me to communicate exactly how I feel. I need it and if I can share it with people and help them connect then that's an incredible feeling. Enjoy what you like and don't let tastemakers dictate what bands you should and shouldn't pay attention to. You'll miss out on a lot. Laura Stevenson performs ''Journey to the Center of the Earth'' from her album Wheel (2013). 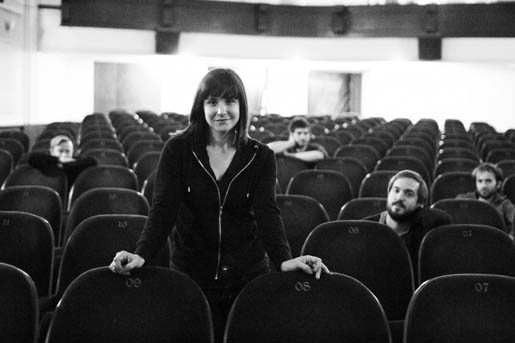 Laura Stevenson is a singer-songwriter based in Long Island. 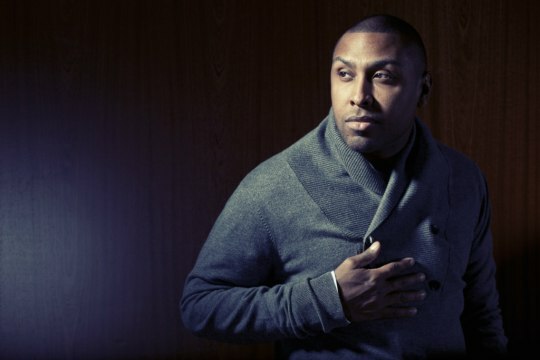 Stevenson has released three albums, and is currently on a long tour in the States. Find out more HERE. 2014-03-13. Published in category Articles. I would not say that there is one specific thing that I want to communicate to people who like to listen to music. There are many things to say, and many ways to say them. For me, music is one of the most diverse mediums that we can communicate with. In poetry or prosaic writing, the artist can play with many styles, but usually must commit to one genre if the artist is to produce one coherent work. The poet must choose one language, and limit themselves to those who speak or understand that language (though there are some great exceptions, like T.S. Elliot). The same is true of theatre and film. In music, yes, we must pick one language for lyrics (though there are some great exceptions, like Regina Spektor) but there is a vast world of musical dialects and tonal languages that the composer can play with. The timbres of instruments, from vibraphones to zithers or any guitar imaginable, each provide a unique voice and story. Melodies and rhythms from different cultures and times can be blended. There is so much space to be creative. There are so many stories to tell. There are so many voices to tell them with, and the language of each voice can be blended in harmony. In my own writing, I try to communicate many things, but I suppose in the end, I lean heavily on what I consider the only two subjects of true universal significance: love and death. But there are many paths we make take to and from love. There are many roads we may travel to and from death. There are many stops along the way. I encourage people who love listening to music to branch out beyond their normal boundaries. There are no excuses these days. The resources are unlimited. Go listen to music you don't understand. Listen to music you don't like. If you don't like it, try to articulate why. Do you hate Hungarian zither music? Try to explain why. Do you hate Justin Bieber? Try to explain what it is about the music that you dislike. By developing the skill to articulate what you don't like, you can help to deepen your appreciation for the things you do like. Music to me is like water. It sustains me. I need to sip from it every so often or I feel faint. I need to bath in it to keep my soul clean. It flows over me. It does not flow out of me like a constant river, but if I drink enough of it, it comes back out. I sweat it out. I piss music. It often stinks, and I flush most of it away, but it's always a relief to get it out. 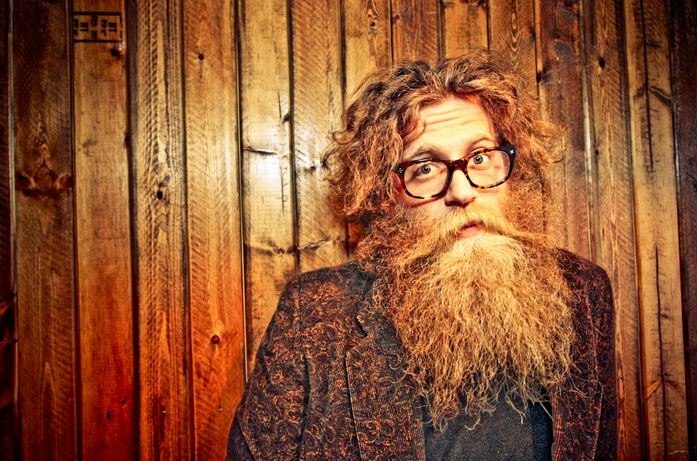 Canadian multi-instrumentalist (guitar, banjo, keyboards) and diverse singer-songwriter Ben Caplan performs with and without his band The Casuel Smokers. He has released the critically acclaimed album In The Time Of The Great Remembering. Find out more HERE. 2014-03-10. Published in category Articles. I fell in love with guitars when I was about 11 years old or so. The sound of an electric guitar… the artistic beauty of the instrument and the way it makes everyone who puts one around their neck, instantly look and feel cooler. My first guitar was a cheap acoustic that my mom got for me at a yard sale. I had been asking for drums for years but she got the guitar instead. She said drums were too big, expensive and loud and I probably wouldn't stick with it anyway. I at least wanted an electric guitar so I was miffed about it and didn't touch the guitar for six months. When I finally picked it up one day, it was an instant addiction. I would play for hours and hours every day. I was almost 13 years old then. Not long after that, she got me my first electric guitar. I have a handful of guitars now. I have a Gibson chambered 58 Reissue Les Paul. It's got a big fat neck and the chambering makes it really lightweight and it also gives it a hint of hollow body tone. I have a couple Recording King acoustics. They are the small bodied, slot head style, like an old Martin. I have a custom strat and tele that I built for myself and also a Mark Mattos Custom Barnshaker. I love all my guitars but my two favorite guitars were actually gifts to me. I met my best friend, Dave Cothran, when we played little league baseball. He gave me his 1964 Gibson SG Junior a few years back. He's more of an acoustic player so he didn't play it very much. It mostly stayed in the case, under his bed. I used to ask to borrow it every now and then, to record with it. It has a phenomenal tone that only an original P-90 pickup can deliver. It's one of those guitars that sounds great even if it's a little out of tune. One day I asked to take it to use in the studio and he said ''Why don't you just take it with you and keep it?'' So I've been keeping it and loving it ever since. 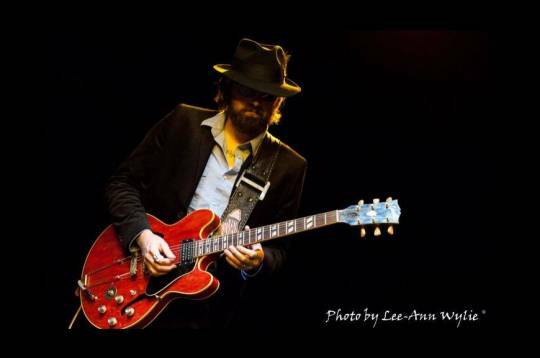 Shortly after I started playing with Leon Russell, he gave me a 1968 Gibson ES-345 that he got from Freddie King back when they worked together. It had been sitting in its case, unplayed, for some time before he gave it to me. That's when I knew Leon must have liked me. He said ''I think that Freddie would have wanted you to have it''. What can you say to that? The guitar has a lot of magic and mojo. I had it refretted and made a couple modifications to it, but they can all be reversed to original. I was afraid to change it or take it on the road to play it at first but now I take it everywhere I go as long as I'm not flying. I joined my first band just before I was 16. After that, I didn't really care about going to college anymore. I knew that I would have no use for it. I knew that I was going to be a musician. I just knew that I could do it. I can't explain that exactly, but I just knew. I play by ear. I learned chord shapes from Mel Bay books that came with that first cheap acoustic and figured out some scales on my own. I learned how to read music but I've never had a use for it. I would describe myself as less of a musician and more a guitar manipulator. I just try to get the sound out of it that I want to hear. I was always a music fan. When I was 3 years old I wanted to be Elvis Presley. When I was 9 or so my family and moved from an all white country community to an integrated neighborhood. My friend from across the street introduced me to Michael Jackson, rap and hip hop and Prince. I got into all that until I picked up a guitar. After that, I still liked Prince. He is an amazing guitar-player and entertainer. I became an AC/DC-fanatic in my teens, and through Angus Young I started exploring his influences and the roots of Rock n Roll. I found Chuck Berry. I was really turned on to his songwriting and showmanship. This exploration also led me to find some of my favorite bands and guitarists: Eric Clapton, B.B. King, Freddie King, Albert King, the Allman Brothers, Muddy Waters and Robert Johnson. I wrote my first song when I was 14. It was a melodramatic song in A minor that only teenage angst can produce. It wasn't very good, but you gotta start somewhere right? I do still have the piece of paper I wrote it on. I keep it in a box tucked in behind my high school diploma. Generally, I'm an inspiration driven song-writer… when the mood strikes. I keep something on hand to record on in case an idea pops in my head. As a dad these days, I often have to schedule my songwriting. I can usually come up with something during a scheduled time like that. I dig all kinds of music and I like to write all kinds of songs. I site a wide range of inspirations. Clapton, Croce.. too many to list. I'd like to give the Bee Gees a mention. They existed into the disco era which was a kind of a lull for great music in the opinion of many… but if you really listen to them, I think you have to agree that they are wonderfully crafted songs. Lionel Richie is also one of my favorites. I was pleased to read somewhere that he also likes to write his songs predominantly when inspiration strikes, like me.. and he's from Alabama too! ..Of course Leon Russell. There's a great song-writer. I had moved to Texas and to start a band. I wasn't making enough money to pay the band very well so one of my guys, Zach Baker, started working for a booking agency for some extra cash. He became Leon's exclusive booking agent for 6 or 7 years. After I moved away from Austin, he called and asked if I would like to audition for Leon. I had to decline. At that time I was in Los Angeles. I had committed to stay with my band for at least one year. I very much wanted to audition, but it didn't feel right to just jump out because a better opportunity had come up. I almost instantly regretted the decision… but luckily, I got a second chance. After I moved back to Alabama, the phone rang again. I couldn't say "YES PLEASE!" fast enough. In my time with Leon Russell, I experienced and learned so much! I traveled the United States, Canada, Europe, New Zealand and Australia. He co-wrote two songs with me.. one on each of my blues CD's. He even sang on one of them. He let me play a solo song during his show every night and he let me sell my CD's at his shows. He didn't have to do any of that. He really helped me to start to make a name for myself and get my music into the hands and ears of people who obviously like good music! …and don't forget the Freddie King guitar! I'll never tire of telling people about Leon. Music is a necessary part of life to me, like air and water. I love to hear it and I love to create it and perform it. I plan to write songs and play music for as long as I'm alive… and also get lots of new guitars. Chris Simmons performing Robert Johnson's ''Walking Blues''. Chris Simmons performing an acoustic version of his own ''Farewell For Now'' from his album Hallelujah Man. 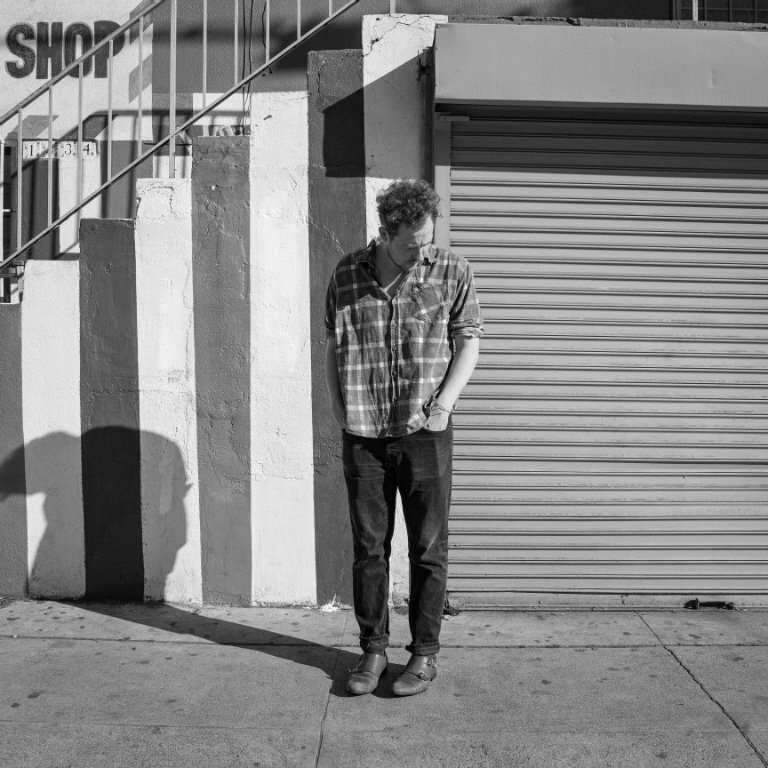 Chris Simmons is a guitarist, singer and songwriter, who has released three albums to date. 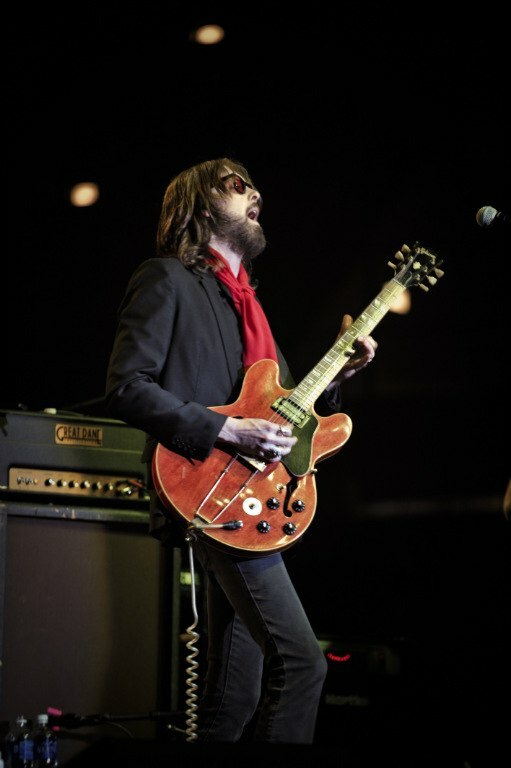 He spent five years as the guitarist in Leon Russell's band. Chris tours a lot, not in the least with his band Royal Blue. Find out more HERE. 2013-12-20. Published in category Articles. Bass-legend+ T.M. Stevens has made a documentary for Musicians' Corner. TM Stevens shares his history and wisdom, in this inspiring documentary, which he has produced himself. In this film T.M. talks about his work with many greats -- and takes the viewer back in time and around the world in his narrative. 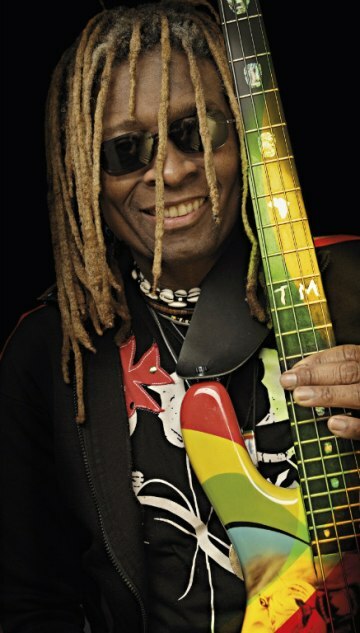 He plays a few of his famous basslines -- and gives a virtuoso's tips on bass-playing. He also shares exclusive footage -- as well as his views on music of yesteryears and today. 2013-12-19. Published in category Articles. Tonight, I’m standing in a stranger’s living room, singing at a house concert. I’m far from home and I don’t know anyone here but you’ve given me your time, your ear and your heart for two hours and by the end of the night, we know each other. We are fulfilled and changed by the experiences of the evening and life is good. We are moved, unexpectedly. You approached me with tears in your eyes. I was standing near the tissue box so I had the honor of handing one to you. You told me what that one song meant to you, how it spoke exactly of an experience you’d had and that it meant the world to hear someone else felt the same way. I’ve come to realize that this is a huge compliment, maybe the biggest compliment that you could possibly offer. You have just placed me in the company of some of the best singers you know of. You believe in me. You want me to have success and you want others to experience what you’ve experienced here tonight. I’m flattered and humbled and grateful. For many people, watching one of the myriad singing competitions on TV is a huge deal, like a cross between a soap opera and football, exciting and dramatic and entertaining, an epic battle with a winner declared at the end. And you can be directly involved in the outcome. After all, it’s up to you to vote your favorite into the next round. And seriously, there is some pretty incredible talent on those shows, especially The Voice. So I’m flattered that you consider me talented enough to vocally rumble in the ring on your favorite TV show. 1) I’m not interested in ‘winning’ at singing. I sing for a living so in all honesty, I ALREADY win at singing. How strange it would be to have a celebrity judge (who probably knows less about singing than I do) listen to me for 30 seconds and decide if I’m ‘good enough’. I AM good enough to sing for a living because I’m doing it right now. I sing for people, on purpose, at concerts and festivals and weddings and churches and bars. I studied music in college and have a degree in classical voice. I’m a singer/songwriter and I’m signed to a small and awesome record label. I sing for a living and I sing for people and I sing for myself. I totally win. 2) I’m not really interested in being famous. Now don’t get me wrong. I’m not opposed to being well known or to my songs being heard by the masses or to making enough money to buy my mom a decent washer and dryer. But I have never been interested in achieving fame. Fame usually has nothing to do with the music and it almost certainly has nothing to do with talent. It’s hard to judge the success of a musician without using fame as a measuring stick. But it can be pretty simple. Am I singing? Check. Are people hearing it? Check. Is everyone happy/moved/inspired/dancing/thinking at the end? Check. Do I want to do it again tomorrow night? Check. That, my friend, is success. 3) I don’t want to compete with other singers. There are plenty of people out there taking advantage of musicians. They want us to perform for free. They want us to give them the rights to our music. They want us to ‘pay to play’. They want $2000 for introducing us to the guy who might use a song in a TV show. We have enough obstacles out there. We don’t need to be stumbling over each other, too. One of the greatest joys in my life has been meeting and performing and collaborating with other singers and musicians around the country. They are my tribe. I love them and I want them to survive and thrive and make more of their amazing music. I want to share the stage with them. I want to high five the guy who is trying out a new song, even if he knows his performance wasn’t perfect. I want to be blown away by that girl with the amazing voice and not worry that she might be better than me. I want all of us to try new things, play new instruments and write new songs without wondering if the audience is going to vote us off. I have had the pleasure of finding my tribe, some ships that have passed in the night and some who are docked in the same harbor. There are hundreds of us. Thousands of us. And life is better when we’re for each other, not against. 4) I want to help write a new definition of success for musicians. I will admit, it’s pretty awesome to flip on the TV and see someone you know singing their hearts out for the world to see. I’ve had friends audition for almost every major singing competition, some making it to the finals, others not making it through the first round. And just because that’s not the path for me doesn’t mean that’s not the path for them, so I support them whole-heartedly. But on many occasions, I’ve seen them give up when they get home. They didn’t win the singing competition so they decide to go to bar-tending school. Looks like they won’t skyrocket to fame, so they change their course all together. Some of the best singers I’ve ever heard are deflated because they lost out to a juggling dog. All the eggs, one basket. It takes time and hard work to achieve whatever it is that you consider success but you won’t regret it. My life is full of music because I made choices along the way to ensure that it is. I could have given up when I wasn’t a famous singer by the time I was 21 years old. Oh, the things I would have missed. Even if fame is the ultimate goal…take the road less traveled and enjoy the ride. As my friend and executive producer Lauren Markow always says: “Even a bad day making music is better than a good day doing anything else”. Right. On. 5) Because tonight was PERFECT. Who says that the best music in the world is made in front of a huge audience? It’s not. It’s made in small rooms. It’s made by people you’ve never heard of. It’s made when a musician is alone, writing a song, practicing, trying something new. It’s made when a french horn and it’s player become one entity. It’s made when your choir is rehearsing a week before the scheduled performance and everyone just clicks. It’s made at the Saturday matinee performance when the lead soprano finally understands and fully becomes her character. It’s made when I am singing one of my songs and I look up to see you, crying, nodding, completely present and I realize that I don’t even know what this song is about anymore. So no, I’m not going to be auditioning for The Voice. Because I would much rather be standing right here, singing in a stranger’s living room, seeing your face as I sing, handing you a tissue as you tell me how my songs moved you. I am part of your experience and you are part of mine. I am fulfilled and I am changed and I am moved that you are moved. And this is what I want my life to be. Welcome to the tribe. I will forever treasure the compliment. This her text was originally published on Amy Petty's blog. 2013-12-16. Published in category Articles.
'' It's quite hard to define soul music. But you can definitely hear it when it's not soul music. Soul music is my life. It is what I was raised on, and I love to make it. Soul music has no barriers. It connects all ages in ways that few genres do. 2013-12-15. Published in category Articles. BLACK VOICES is Carol Pemberton and that’s me left of picture. Next to me are Evon Johnson-Elliott, Sandra Francis, Shereece Storrod and Celia Wickham-Anderson. Sandra and I are the original members of the group. We were backing singers for different pop bands in the 70s & 80s. We often did studio session work as well as live gigs for the bands. In rehearsal, we knew our voices and harmonies sounded fantastic but when we were performing with the band, it was like the hard work we had put into the harmonies/blending didn’t matter. Drums or electric guitars with incredible effects took over - and we couldn’t be heard! 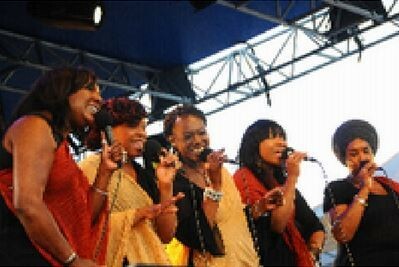 Sweet Honey in the Rock, an American all female a cappella group, was touring the UK at that time and seeing them in performance inspired me to form a purely vocal group. I asked Sandra to work with me. Thankfully, she said yes and that’s how BLACK VOICES came about in 1987. Many women have contributed to where BLACK VOICES is today. The current line up has been together for over 13 years but every woman who has worked with the group as part of the collective has added something to the sound that is very uniquely and distinctively BLACK VOICES. Our performances and work are dedicated to preserving the niche art form of singing in the black oral tradition. It’s the love of our lives and we promote its significance and history wherever we travel – UK and abroad - through our concerts, education outreach programmes and singing workshops. The black oral tradition has had a massive impact and influence on a lot of the music you hear today, blues, jazz, R & B, Rock ‘n Roll and pop but also on other music genres. We keep our repertoire fresh to appeal to the widest possible audience to demonstrate the power of the unaccompanied voice in full song and we’re not afraid to experiment. When you come to one of our performances, you’ll see how we intertwine the musical history and rhythms of Africa, the call and response, the ring shouts and the rich crafted musical genius of spirituals with other classical compositions. We’re very lucky to work with some outstanding composers and musicians. It’s difficult to single out any particular one but our current performances include arrangements by Kgomotso Moshugi of South Africa’s a cappella collective No Limits, an arrangements by Peter Daley including Bach’s Air on a G String and a heart skipping version of Nina Simone’s ‘Four Women’ arranged by Laura Mvula, a former member of BLACK VOICES. Then of course, there’s Mark Kibble, Take 6. In our opinion the best a cappella group. We asked him to write a song for us and ‘GO WHERE I SEND YOU’ is the result. He came over to spend time with us in our hometown Birmingham, UK to develop the piece before we recorded it. Not many groups can say that they have an original composition from one of their idols. Celia and I sing bass in BLACK VOICES. How low we go really depends on how cold it is! It’s not something we ever measure, though other male bases have told us we hit bottom G-F with great ease. If you hear us before you see us, you might assume there must be some male voices in the group. Audiences are always amazed at how low we can go but it’s important for our sound, especially in terms of singing in the black oral tradition where the lower parts need to have an earthy prominence within the music. People will come up to us after our concerts and say ‘You don’t realise there is no accompaniment.’ That’s a really great compliment! There are just so many. 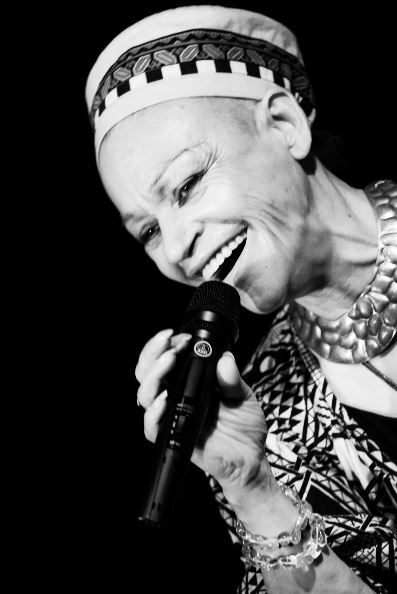 We’ve performed in every continent and to the most diverse audiences - from private engagements to worldwide television appearances – and with music legends such as Hugh Masekela, Nina Simone and Ray Charles. We’re just back from another tour in South East Asia, we travel Europe regularly where we have a fantastic following and in 2014 we’re in Australia again. BLACK VOICES’ biggest gig to date is singing for and meeting the late Pope John Paul in front of hundreds of thousands of people in Loreto Italy. Performing before Nelson Mandela and meeting him on a couple of occasions in the both the UK and Johannesburg is obviously now particularly poignant and a treasured memory. He described us as ‘Ah. Those beautiful voices.’ That will stay with us forever.